Today the White House announced “Bright Spots” for welcoming and expanding opportunities for Linguistic Integration and Education. 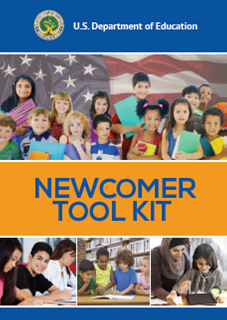 The announcement identified a list of resources including the introduction of the Department of Education’s Newcomer Toolkit designed to help schools support immigrants, refugees, and their families with a successful integration process. This toolkit will provide information, resources and examples of effective practices that educators can use to support newcomers in schools and communities. To access the full document, go to http://www.ed.gov/about/offices/list/oela/new-comer-toolkit/ncomertoolkit.pdf. Next Can a Hip-Hop Curriculum Promote and Encourage Learning?